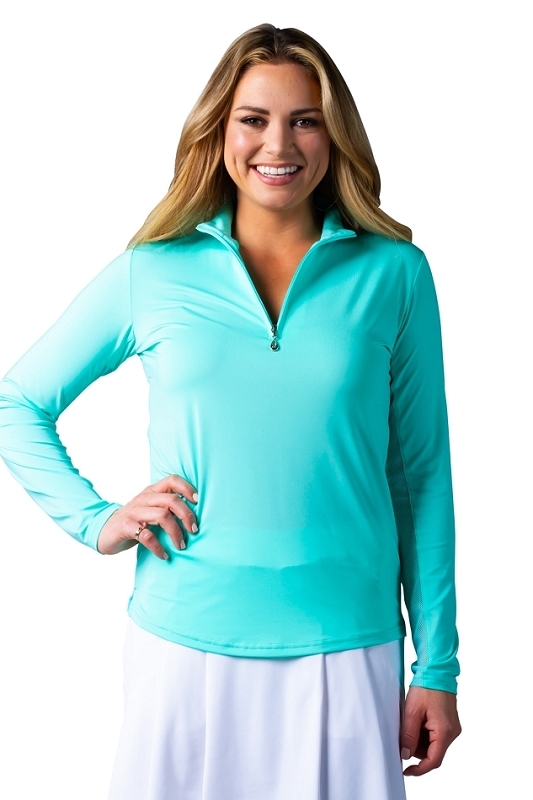 900434 SunGlow®L/S Solid Mock w/Swarovski Zipper Puller• UPF 50+ Sun Protection• SunGlow® Fabric: Soft, lightweight and breathable with quick dry properties• Naturally wrinkle free with a luxurious hand feel• Under-arm mesh panel for extra ventilation and cooling• 26” Body length (size medium)• Long Sleeve zip front polo with Swarovski® Zipper Puller• Polyester/ Spandex blend• Easy Care: Machine wash cold, Line DrySanSoleil "SunGlow" Performance Zip Mock offers moisture wicking, quick dry for cooling comfort and UPF 50 Protection. SunGlow has a subtle sheen. Wonderfully rich and supple. 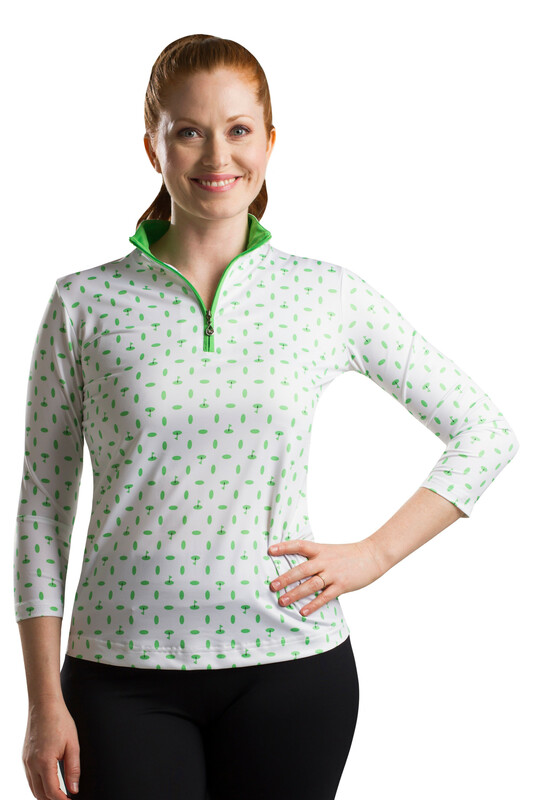 These garments are great for sports that require fabrics that move and are lightweight for exertion in the sun's heat. it is my favourite and is still going strong. I have one SanSoliel sleeveless golf shirt that I bought in Phoenix 5 years ago - it is my favourite and is still going strong. I love these San Soleil shirts!